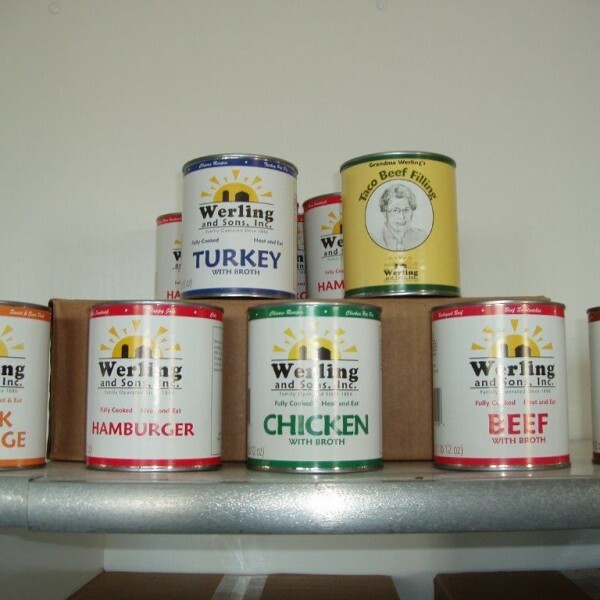 Canned meat 12-Pack (28 oz.) 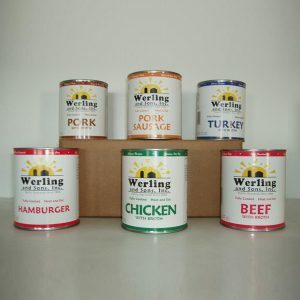 Choose 12 of the following in any combination: Beef, Pork, Chicken, Turkey, Taco Beef Filling, or Hamburger. 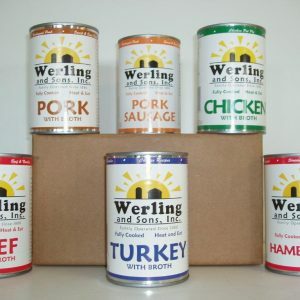 Note: We do not carry Seasoned (BBQ) Pork or Goetta in 28 oz. cans. The 28 oz. 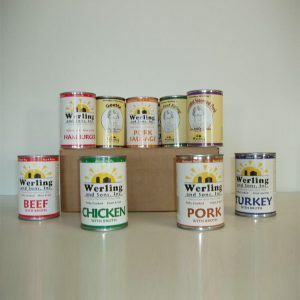 can 12-Pack is a half-case of Werling’s quality canned meats. It can be composed of various combinations of the products listed above and can either be picked up at our plant or delivered in an attractive case by UPS for a minimal charge. 28oz. 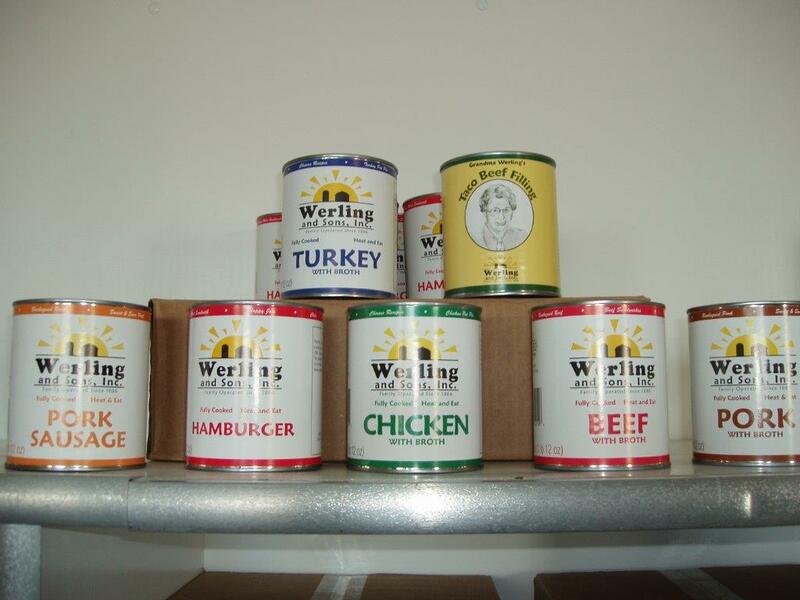 cans- Convenient- Low fat content- Non-refrigerated shelf life- Contain no preservatives Price: $125 Weight: 26 lbs. Purchased a case of these fine meats in a bulk purchase almost six years ago. Recently opened a few cans. Excellent taste and quality. Texture is fine upon cooking. Great product, would gladly buy again.